OAKLAND, Calif., May 9, 2012 – The Board of Trustees of the Peralta Community College District announced last night at its Board meeting the appointment of a new Chancellor to lead the District, which includes Berkeley City College, College of Alameda and Laney and Merritt Colleges in Oakland. José M. Ortiz, Ed.D., Superintendent/President of Allan Hancock College in Santa Maria, Calif., and a former Laney College vice president, will be the next Chancellor of the 30,000-student Peralta Community College District, taking over the reins from Chancellor Wise E. Allen, Ph.D., a Peralta veteran, on July 2, 2012, pending contract finalization. “Dr. Ortiz is a proven leader with great people skills and a sharp understanding of the challenges facing the diverse students of our four colleges,” said Board of Trustees President Cy Gulassa. 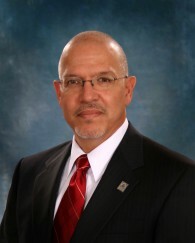 Ortiz was appointed Superintendent/President of Allan Hancock College in July 2005. In that position he has been responsible for a California community college serving more than 11,500 credit students and 5,500 noncredit students each semester. The college district spans 3,000 square miles in northern Santa Barbara County, and includes college campuses or centers in the cities of Santa Maria, Lompoc, Solvang and at Vandenberg AFB. Prior to Allan Hancock College, Ortiz served as an educational administrator in several institutions of higher learning including Laney College in Oakland and Solano Community College in Fairfield, California; Anne Arundel Community College in Arnold, Maryland; the University of Maryland, University College; and the University of Puerto Rico, Bayamon. Ortiz holds a doctorate degree in education policy, planning, and administration from the University of Maryland, College Park; a Master of Arts in teaching English as a Second Language from West Chester State University in Pennsylvania; and a Bachelor of Arts in English from Catholic University of Puerto Rico. “Dr. Ortiz is well-seasoned and disciplined, an educational leader with the hands-on experience essential for guiding Peralta wisely through these historically hard times,” Gulassa added. Since 1964, the Peralta Community College District has served Alameda, Albany, Berkeley, Emeryville, Oakland and Piedmont by providing East Bay students of all ages with a range of educational programs and life-long learning opportunities. To learn more, please visit www.peralta.edu. I support the Board’s decision, and my hope is that we can all work with Dr. Ortiz to make the Peralta District and all our college more unified and powerful in support of the learning, growth, and prosperity of all our communities and our diverse citizens.